Meghan and Jeff first met way back in the 6th grade! Years passed and later, when Meghan moved to California, they kept in touch online. In the summer of 2009, Jeff went out to California to visit Meghan and the rest is history! Jeff planned a special brunch at the Pond House and had planned to take Meghan out into the Rose Garden to propose. However, with the popularity of the gardens, and being the modest person that Jeff is, there were too many people around for him to follow through with the proposal, so they went back home. Later that night after dinner, with the help of his beloved dog Benny, Jeff finally asked Meghan to be his lovely bride. She of course said yes! Meghan and Jeff chose St. Clements Castle as both their ceremony and wedding venue because they loved its character and charm. They planned to exchange vows outside in the gardens, however Mother Nature wasn’t cooperative. 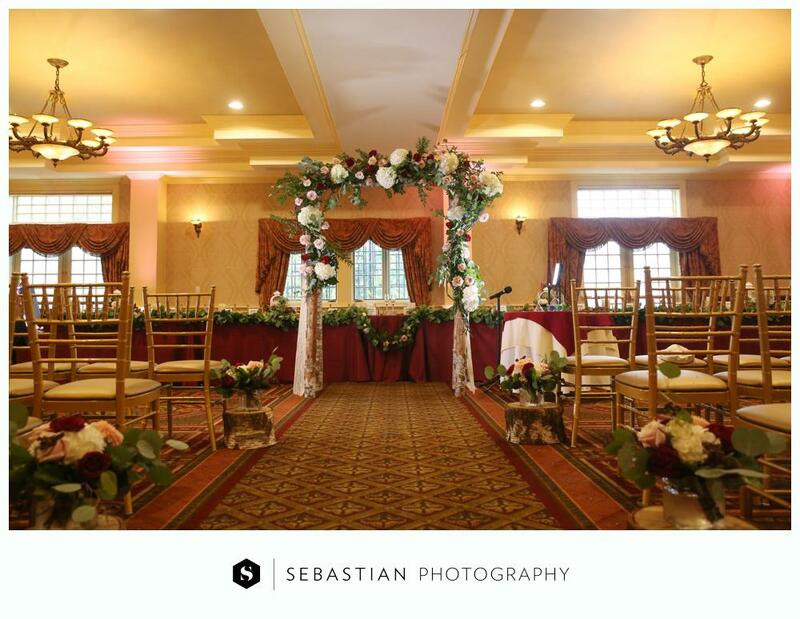 The indoor set up was just as beautiful and romantic for their personal vows. Meghan and Jeff chose a stunning color palette for their fall wedding. Rose, cranberry, golds, browns, and ivories were woven throughout their day. Flowers included roses, lilies, and orchids for Meghan's cascading bouquet. The bridesmaid's bouquets included ivory and light pink roses which complemented the bridal bouquet and allowed it to ‘pop’. Birchwood, another of the couple’s favorite elements, was incorporated in the invitations, place cards, and the centerpieces. Everything came together beautifully to capture the vintage charm they were going for. Love and laughter were in abundance on their wedding day and it was so much fun to capture it all!